Starting from 2006, Zhi-Shan reached out to the mountainous regions of Lijiang, Yunnan Province, China. Constrained by inconvenient transportation, infertile land and stagnant economic development, as well as gender inequality, it is difficult for girls in the mountainous areas of Lijiang, China, to receive an education. Starting from 2006, Zhi-shan initiated an educational support program to offer scholarships and stationery to local disadvantageous girls, as well as various learning and social activities aimed at encouraging them to continue their studies. Later, the program was extended to beneficiaries who enrolled in colleges and universities. In addition to scholarships to alleviate the burden on their families, Zhi-shan continued to help the girls complete higher education, creating opportunities for them to take part in social and voluntary activities to strengthen their self-confidence and self-esteem and to contribute to the development of their local communities. In 2015, Zhi-shan launched a new early childhood program to respond to the lack of care for children left behind by their parents, and staying at home with their grandparents, due to the increasing population of especially younger people migrating from rural areas. Meanwhile, preserving the traditional wisdom and culture of minority groups in Lijiang became another focus of the program. By introducing resources and training for teachers/caregivers of early childhood care and development from Taiwan, and collaborating with communities and the local government educational department, Zhi-shan built a kindergarten with local ethnic traits, dedicated to improving early childhood education at the village level. 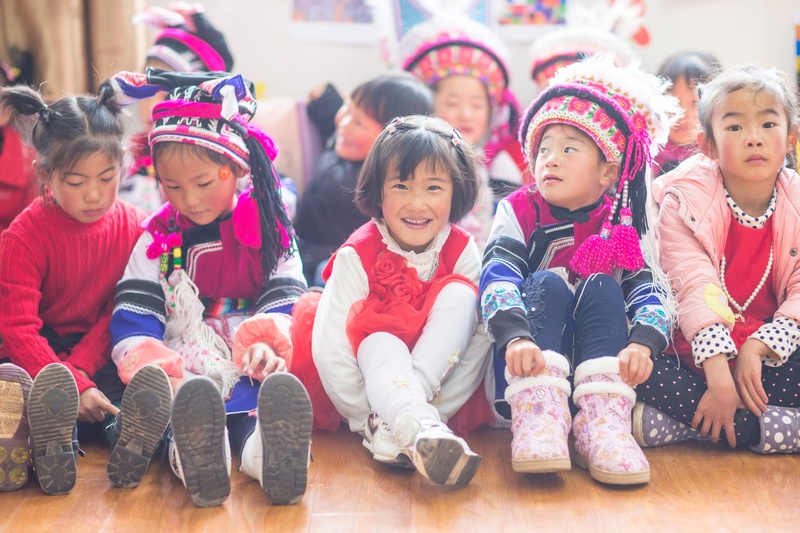 Each year, Zhi-shan supports around 2,500 children in mountainous areas, aged from 3 to 22, to continue their education.